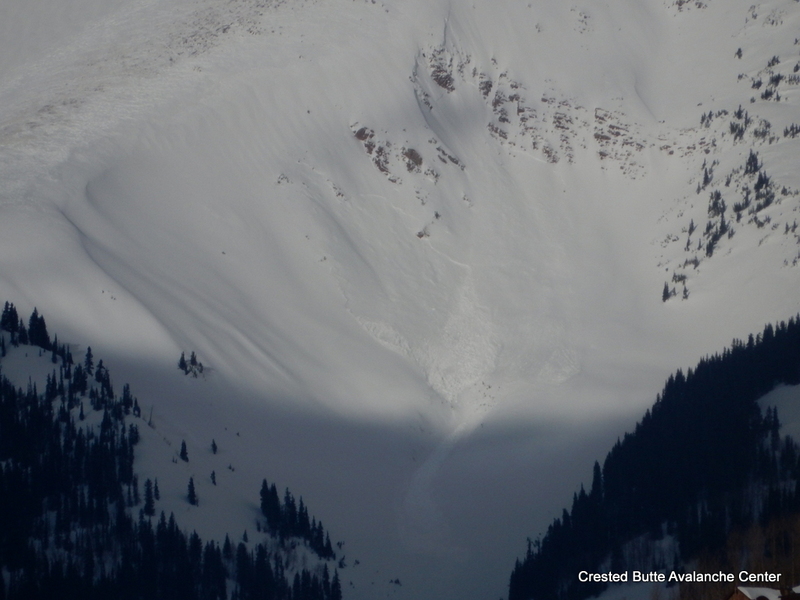 Avalanches: Decent views of below treeline and some near treeline slopes in Cement Creek Drainage with no signs of avalanche activity. 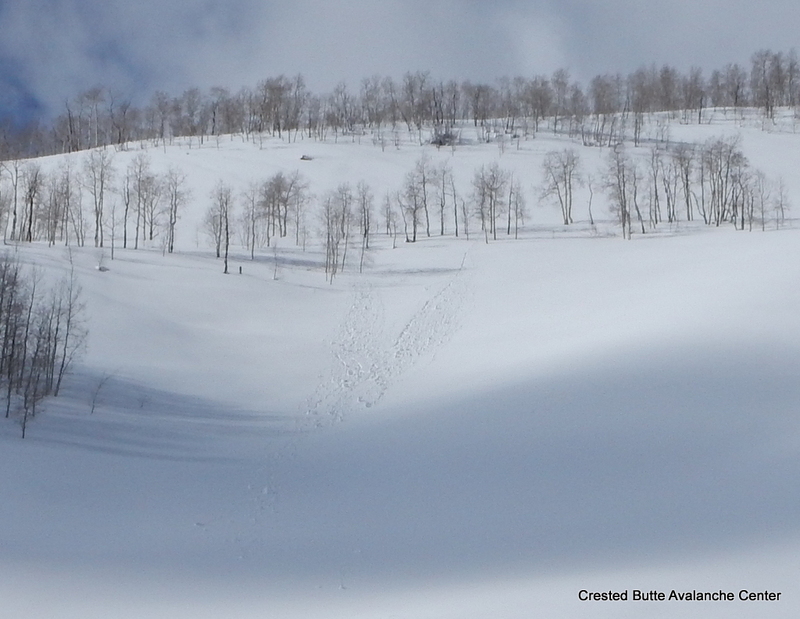 Spotted a few D1 to D1.5 natural wind slabs on easterly slopes along HWY 135 below treeline and what looked like a D2 on a SE aspect of White Mtn above treeline. See photos. Weather: Felt like an April storm. S2 with periods of S5. Overcast skies began clearing midday. Warm temps. Calm winds at our elevation; some plumes observed off of higher peaks once we got visibility. 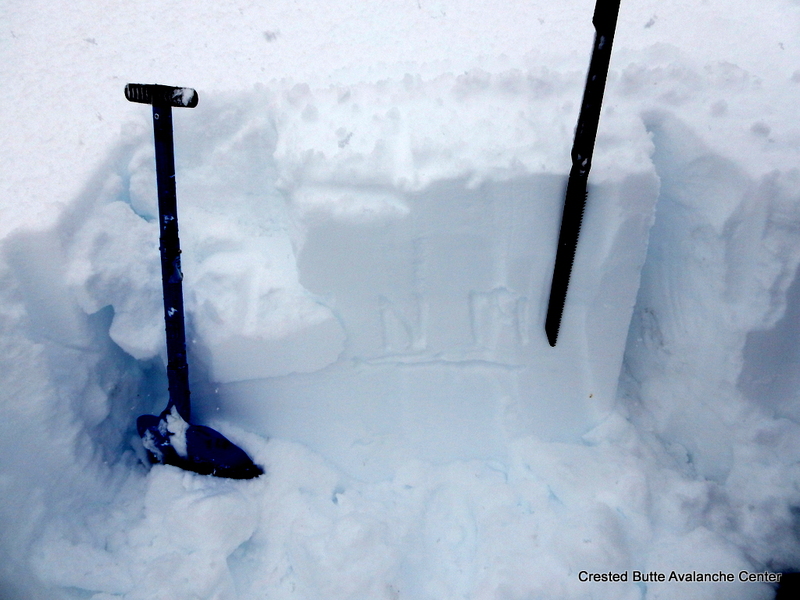 Snowpack: 30-40 cm of dense storm snow, appeared to be bonding fairly well to underlying crusts. We observed several crust sandwiches at the storm interface on SW and SE aspects BTL, but they didn’t appear to have concerning facet layers between. There were some rounding 1mm facets below the lowest crust layer (Feb 4th crust). 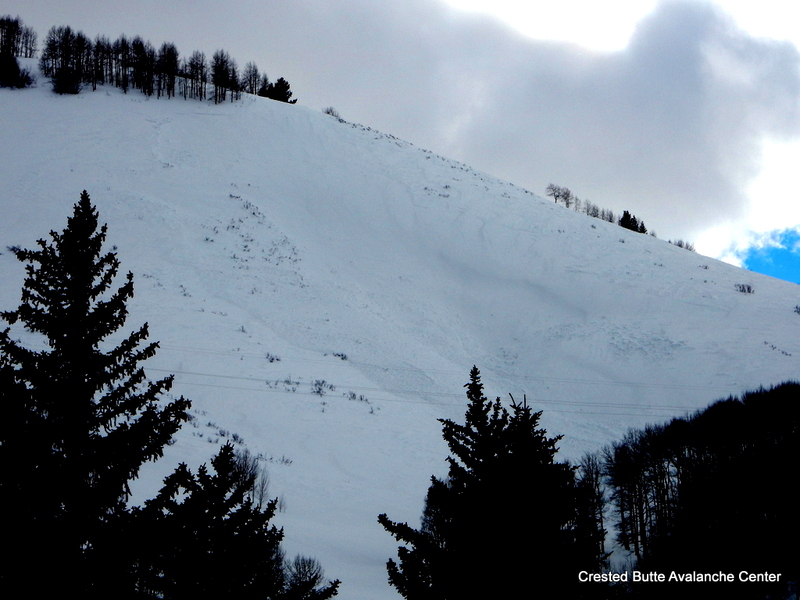 ECTN above the crusts in a wind protected SW slope. Storm snow continued to settle through the day and we saw some rollerball activity in the afternoon. D2. SE aspect White Mtn. WSW aspect at 10,500 ft. About 35 cm of dense storm snow over a pair of thin crusts. ECTN 19, BRK just above the crusts. 1mm rounding facets below the lowest crust. 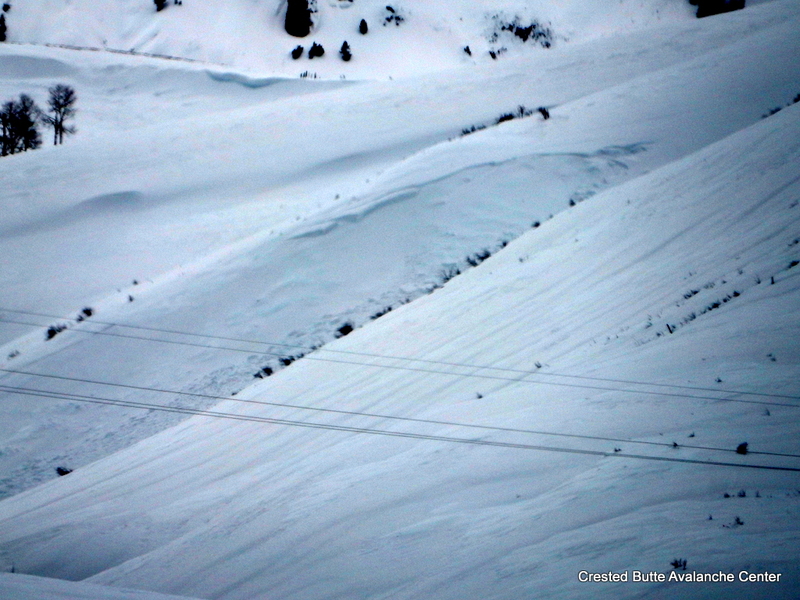 Rollerballs observed on steep E, S, and SW aspects today.